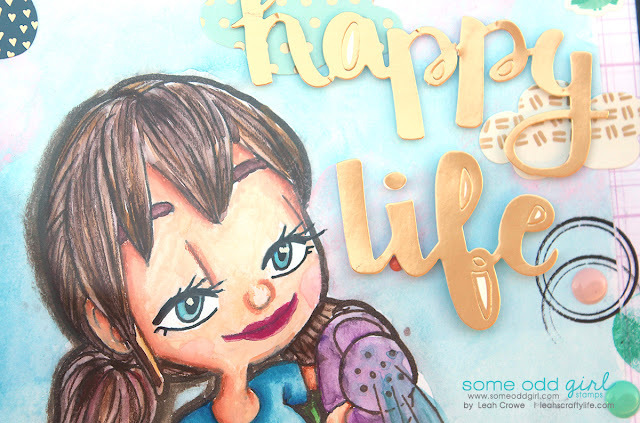 Leah's Crafty Life: Coloring contest with K&C & SOG!! Its a perfectly fun day to share my take on coloring up Gardening Mae from Some Odd Girl. 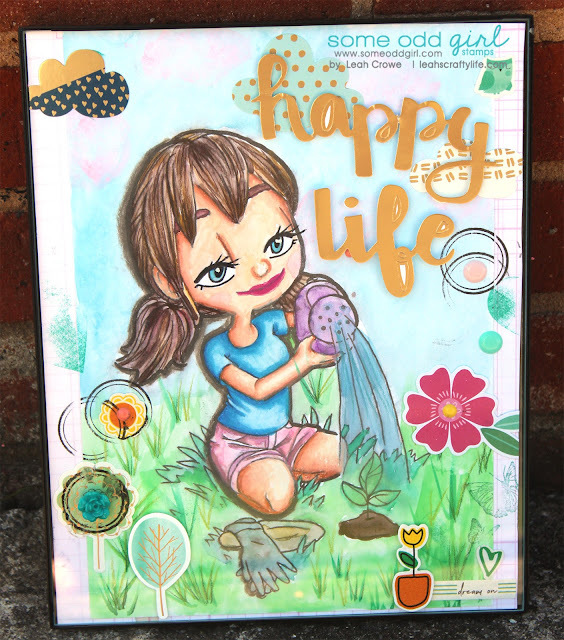 Some Odd Girl and Kit & Clowder have teamed up for a fun coloring challenge. You can check that out here. I printed out Gardening Mae onto a 7 x 10 watercolor paper. I painted her with the watercolors. It was my first time doing this so I thought it would be easier at a much larger size. I was right, because there is a learning curve to using any new medium. Once I had it all finished, I wasn't sure what I wanted to do with such a large painting. I decided to frame it and treat it similar to a mixed media canvas. Some of the embellishments and stamping is right on the background with Mae, and others are placed on the frame of the glass. So, I hope you join us for the coloring challenge. 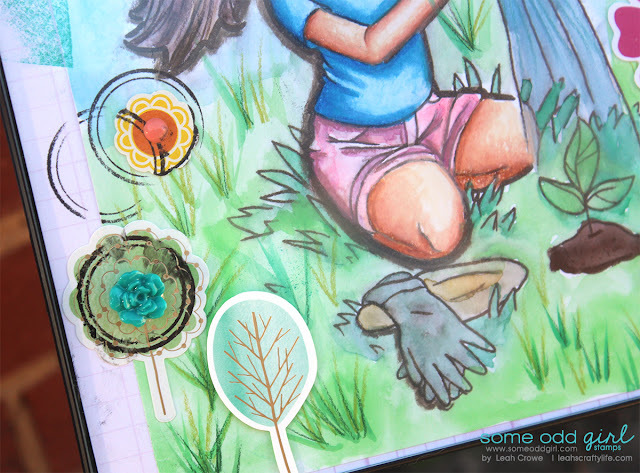 You can get Gardening Mae for a low low price, but you have to get the code from Alyce at Kit & Clowder. Would love to see you join the challenge!